TAIWAN: Danish firms Bladt Industries and Semco Maritime have formed a joint venture (JV) with Taiwanese ship builders CSBC Corporation to produce and supply offshore substations. Taiwan's 682MW of installed wind capaicty is onshore, but the Bladt-Semco-CSBC joint venture is the latest in a series of promising developments for the country’s nascent offshore wind sector. Bladt and CSBC had signed a memorandum of understanding (MoU) in November to work together to develop Taiwan’s nascent offshore wind sector. 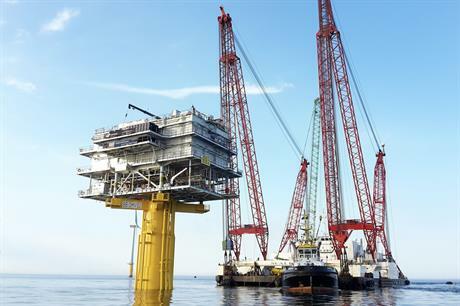 Meanwhile, Bladt worked with Semco to supply the offshore substation for the 165MW Nobelwind site off the coast of Belgium in 2016. In recent years, manufacturers have opened offices in Taiwan, proposed large offshore projects, and the Taiwanese government has set ambitious targets. For more on the recent growth of activity in Taiwan, click here.